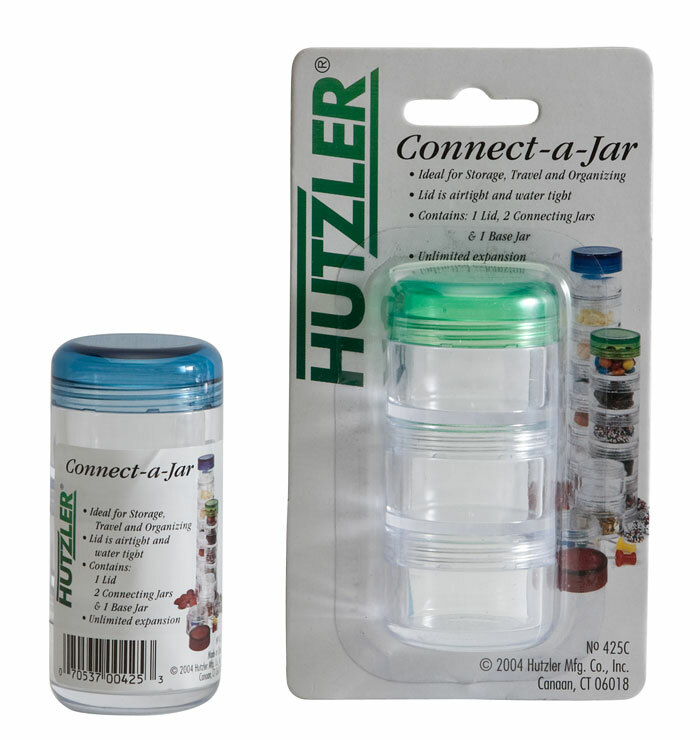 Each Connect-a-Jar Set contains 1 lid, 2 connecting jars and 1 base jar. 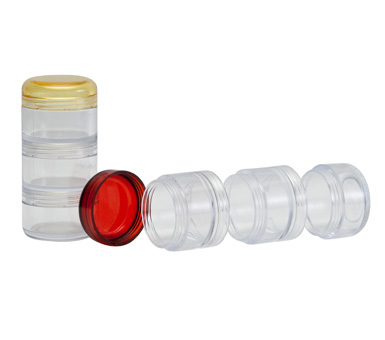 These jars connect to make unlimited expansion to suite your own organization preference. Ideal for storage, travel, and organizing. 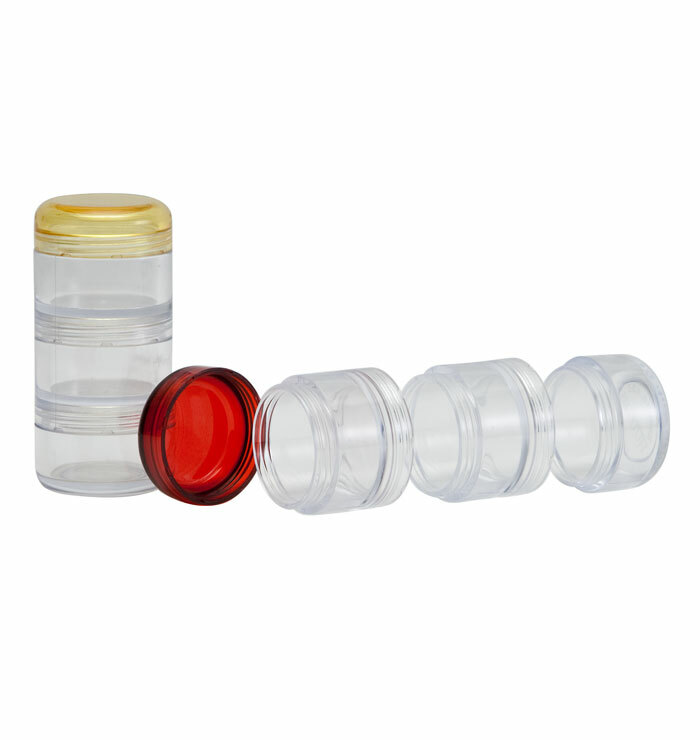 The lids are airtight and watertight. Packaging: Label. Also available carded.